Say hello to her Ate Pampuy! 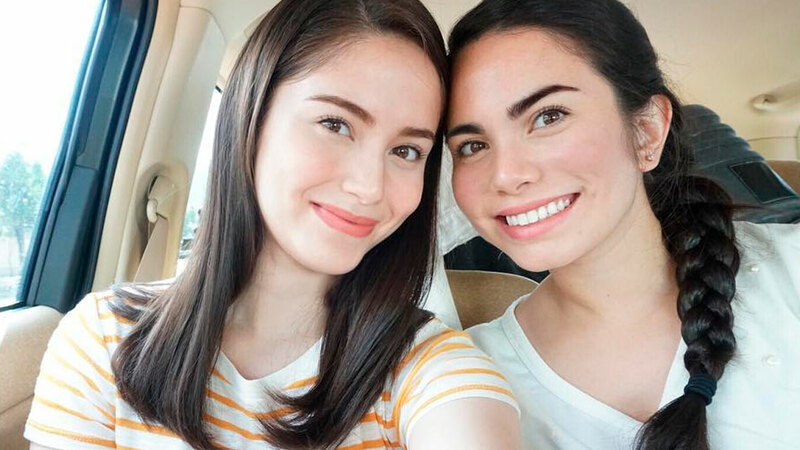 Jessy Mendiola's recent trip to Japan doubled as a reunion with her older sister Pamela Martinez, whom the actress fondly calls "Ate Pampuy." On Instagram, the Kapamilya star posted their photo and captioned, "Finally got to see my ate after 5 years!!! Sobrang na-miss ko siya! Sobrang bilis ng panahon, huling naalala ko dalaga ka pa. Ngayon, mommy and wife ka na! Love you, ate Pampuy! "I'm so glad you moved to Okinawa, mas malapit ka na sa 'min! P.S. ganda mo pa din kahit (sabi mo) haggard ka na sa motherhood lols!" Here's another photo of the sisters at the Sunabe Seawall, a surfing arena. Jessy also got to introduce her boyfriend Luis Manzano to Ate Pampuy. Also in the photo, which was taken at Nago Pineapple Park, were Pamela's husband Rich Martinez and their baby, Jaz. Prior to this, Ate Pampuy and her family were based in San Antonio, Texas, U.S.A. Meanwhile, Jessy also did some sightseeing with Luis. Here's a photo of the couple taken at the Okinawa American Village, an entertainment complex and wrote the sweet caption, "You light up my world."